The Head Pastor of the International Central Gospel Church, ICGC, and former Board Chairman of now defunct Capital Bank, has told his congregation that the full truth in the ensuing controversy about the bank’s collapse will be known soon. He made the comment on Tuesday evening during a service at his church. Pastor Otabil, who is yet to speak in detail about the controversial subject has been sued together with 15 other shareholders and directors including his ICGC church by the receivers of the Bank. But he told his congregation that the suit in no way suggests that he is guilty. “When someone sues you, it is not an evidence, neither is it judgment, it is just somebody’s opinion,” he said. “I know people have all kinds of questions and so on, first of all I can’t explain anything to you. I can’t because I’m in court. We will allow the process to continue and hopefully, the full truth will be known,” he said. 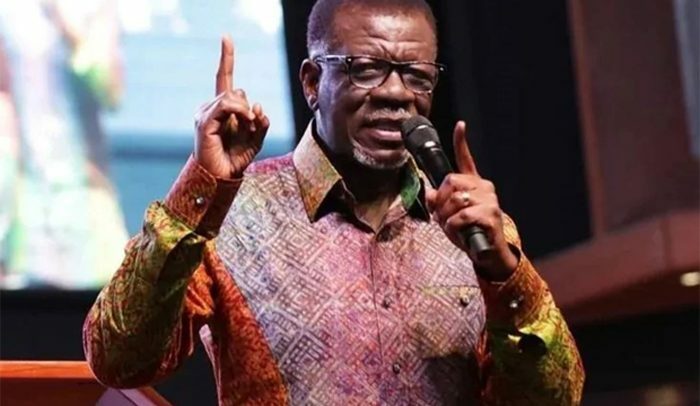 Pastor Mensa Otabil urged the congregants to closely follow the legal proceedings, indicating that it will be “interesting”. A report which emerged a year after Capital Bank was collapsed and taken over by GCB Bank indicated that the then-Board Chair, Pastor Mensa Otabil may have been a party to the misuse of liquidity support given the bank by the Bank of Ghana (BoG).